It seems like the more you do to feed your family properly, the harder it is to keep the grocery budget in check. Using the crock cooker is a great way to stretch a dollar for several reasons. 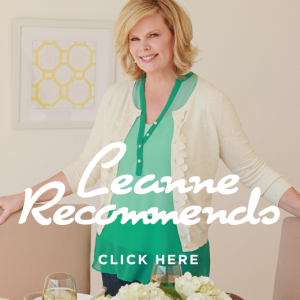 Today, I’m going to share some tips with you to help you save even more money with this beloved kitchen appliance. Make your own stock. If you know me at all, you know I’m pretty big on making stock. With a slow cooker, you shouldn’t ever have to buy canned or boxed broth again. Simply save up bones (I keep one zipper bag for chicken bones and one for beef), trimmings and juices from your roasts and freeze them until you have enough to fill your crock pot about half full. When you have enough, put them in the crock pot, fill the crock 3/4 full with water and let it cook on LOW for 8 hours or so. Then, you can use this homemade broth in your crock cooker recipes and for other uses. Cook more than you need. Buy a very large, inexpensive chuck roast. Even if it’s much more than your family needs—as long as it will fit in your crock pot, bring it home with you. Put it in the crock pot, fill the crock cooker half way with water (which I would do only for cheap cuts of meat), and let it cook on LOW for 8 hours. Portion the meat and use it throughout the week in lunches and dinners. You can even freeze some of the meat to take out later in the month. Buy from the Clean 15 list. Even if you make an effort to buy organic whenever possible, you can save a little bit of money on your grocery bill. Use crock cooker recipes that call for ingredients from the Clean 15 instead of the Dirty Dozen list so you can buy the less expensive, conventionally grown option over organic. (You can learn more about the Clean 15 at ewg.org by the way.) Many Clean 15 items are great for slow cooking, including onions, sweet potatoes and cabbage. 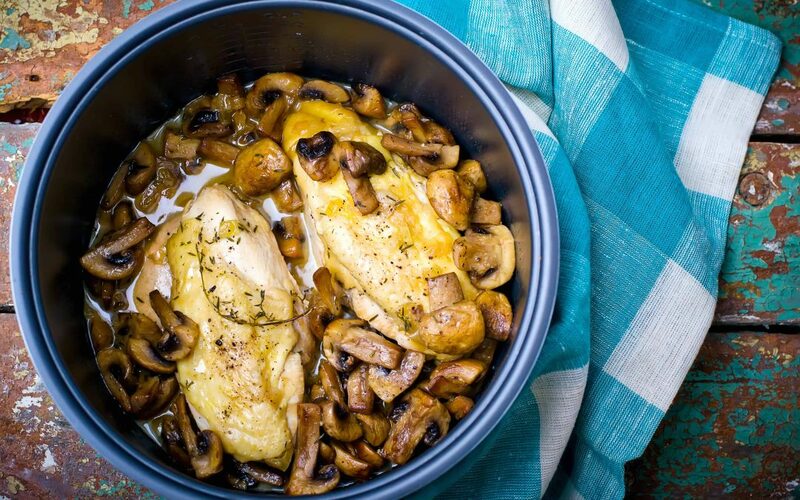 If you’re coming up short on crock cooker meal inspiration, are you in luck! We have a great promo going on right now on our Crock Cooker Classic and Paleo Menus. Find out more here! I couldn’t function without my slow cooker. You all know by now how I feel about this wonderful, time-saving appliance. If you’re new to slow cooking, or even if you’re a seasoned pro, there are some safety precautions that I hope you’re taking when it comes to this highly efficient way of getting a meal on the table. 1. Thaw meat and poultry before placing in the slow cooker. Frozen meats may not reach the safe zone (140 degrees) fast enough and could end up making you sick. 2. Never use the warm setting to cook food. That setting is for when your meal is already cooked, to keep it warm. 3. Preheat the slow cooker on high before you put your meat or poultry inside. This will shorten the amount of time foods spend in the danger zone, before reaching 140 degrees. 4. 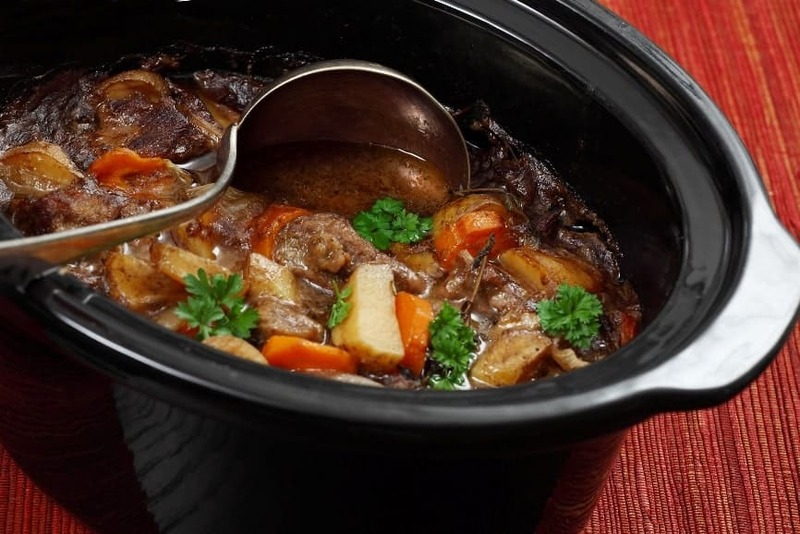 Don’t use the slow cooker to thaw or reheat foods. 5. While your foods are cooking, do not lift the lid. Every time you open the slow cooker, the tem-perature drops 10–15 degrees and your cooking progress will be slowed by 30 minutes. 6. Check your cooked foods with a thermometer to ensure they are cooked thoroughly. Poultry, soups, stews and sauces should be at 165, while roasts are okay at 145–160. 7. 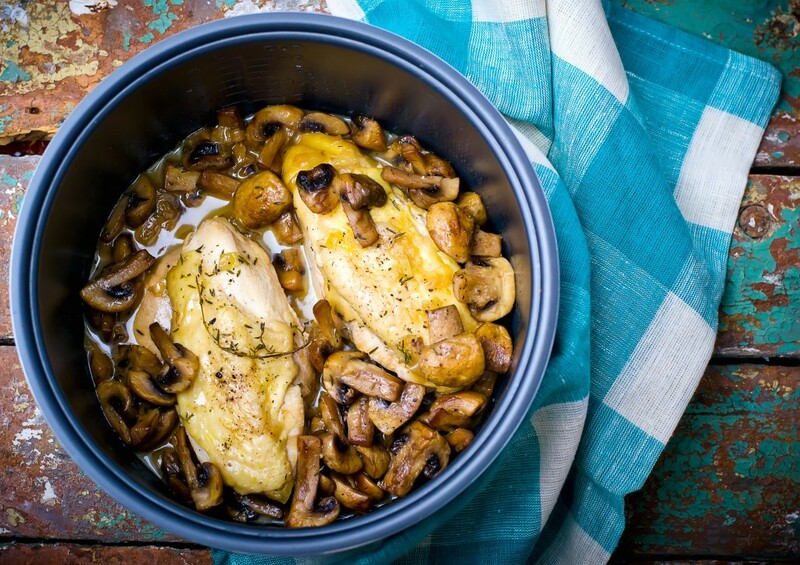 Don’t use the slow cooker to cool down cooked food. Remove food from the crock and then let it cool before placing in the refrigerator. Fresh mint is a common sight in the summertime and today you’re going to get a tip, a trick and a recipe featuring this pretty little leaf! I have mint growing in my garden and let me tell you, when you plant mint, you have mint for life! Really. Mint can take over so you really have to be vigilant about keeping this plant in line. But if you can manage a mint crop it’s well worth growing! 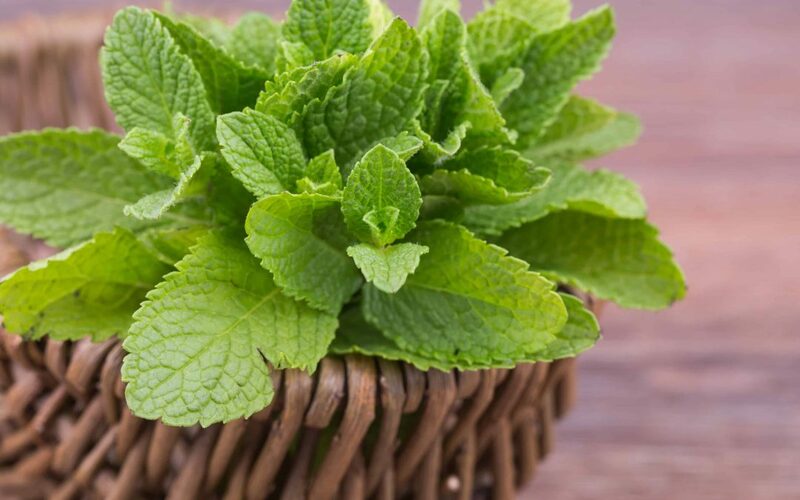 (If you don’t have a green thumb, fresh mint is a relatively easily fresh herb to get your hands on.) Mint is quite high in Vitamin A and it also contains Vitamin C, iron and manganese. 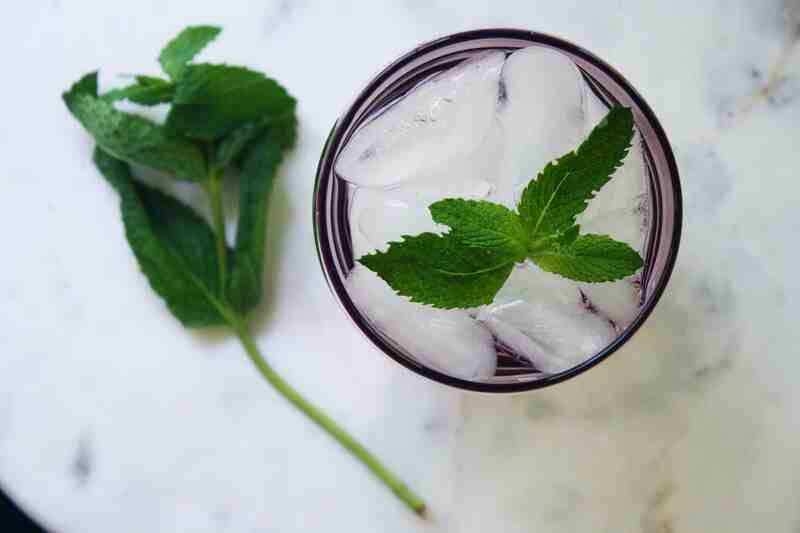 There are many uses for mint leaves. While you see it most often used as a garnish, you can add mint leaves to your smoothies for a minty kick (can you say chocolate mint?! ), make yourself a cup of peppermint tea, or even flavor your water with them! When you’re freezing a tray of ice cubes, try adding a mint leaf to each one for a pretty (and refreshing) way to keep your lemonade or cocktails cool! If you wish to plant your own mint, I recommend planting it in a container. This is probably the best way to keep that mint under control. In a blender, place coconut milk, water, mint leaves, cacao nibs, Saving Dinner all-in-one smoothie mix, Saving Dinner Fibermender and Saving Dinner Just Juiced Greens (optional); blend until smooth and enjoy! It’s ok to add a tad more milk of your choice, if a thinner smoothie is preferred. Speaking of smoothies…I LOVE Perfect Paleo Protein–dairy free, creamy yumminess and anti-inflammatory to the 10th degree! Highly recommended! I don’t know about you, but I have a really hard time buying produce that I can easily grow myself. At my house, we eat a lot of salad. 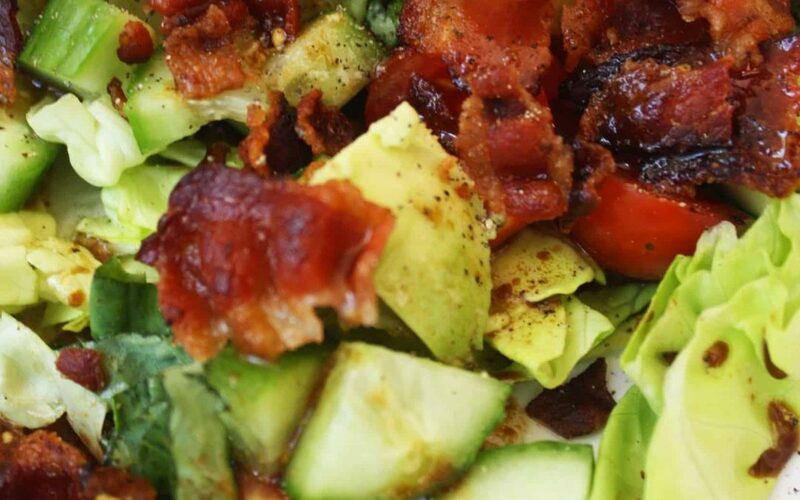 As many of you know, I serve a large green salad with almost every meal that goes on the table. All of those heads of lettuce can add up! 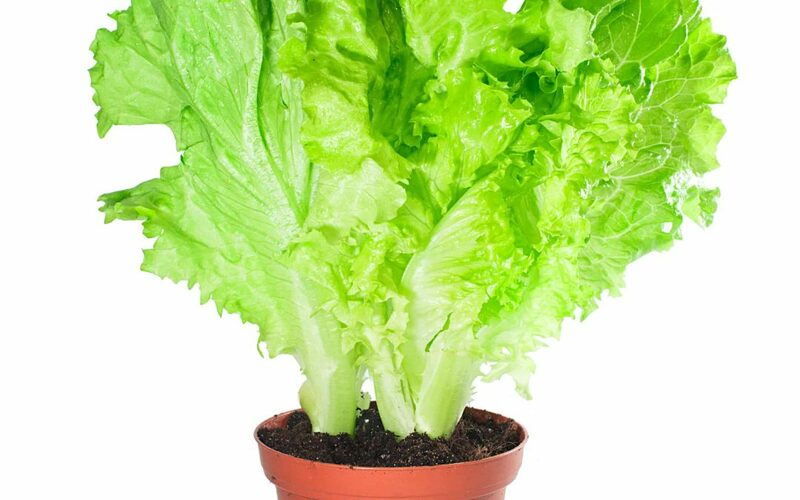 So, I recently started looking into some ways to grow my own lettuce indoors and I thought I would share what I’m learning with y’all. You’ll need a window that gets at least 6 hours of sunlight per day. If your lettuce doesn’t get enough sun, it will get tall and spindly and that isn’t what you want. 1. Fill your container to the halfway mark with soil. You can sprinkle some fertilizer on there if you want to. 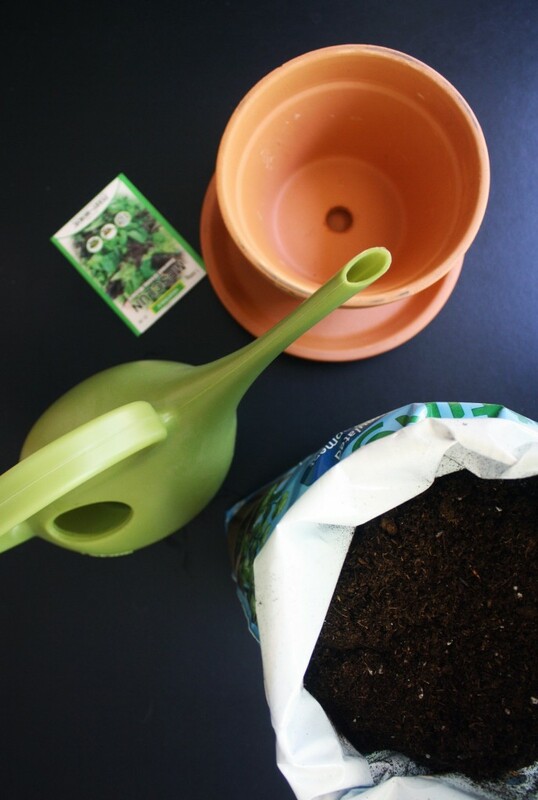 Moisten the soil and sprinkle a couple pinches of seeds on top. Sprinkle a little more soil over the seeds and spritz the surface with more water. 2. Water daily and keep the pot in the sun or under a grow light. The seeds should sprout up in about seven days and your first harvest should be ready in about a month. After you cut your lettuce the first time (leave the growing crowns alone! ), you’ll only have to wait another two weeks for a fresh crop. And it’s pretty much just that easy! Fresh lettuce greens are just the best, aren’t they? PS – The 21 Day Knock Out starts TODAY!!! I’ll sneak you in, but you gotta come right now!! What common condiment may protect against cancer? It’s time once again for Tricks, Tips and a Recipe. Today you’ll learn a tip, a trick and you’ll get a great recipe to try it out with. Neat, huh? It’s been mentioned in Sanskrit writings from 5000 years ago and in The New Testament. It was used as a food source and medicinally in ancient Greece and in ancient Rome. It’s available ground and whole. Oh, and also as a condiment. Mustard seeds come from the mustard plant—a cruciferous veggie related to Brussels sprouts and cabbage—so you know that means mustard seeds are very good for us. These little seeds contain omega-3 fatty acids and a slew of minerals including phosphorous, copper, manganese, vitamin B1 and magnesium. Mustard seeds have an anti-inflammatory effect in the body and they contain compounds believed to help protect against gastrointestinal cancer. Mixing dry mustard with water gives this mild powder a bit of a kick. When you mix dry mustard with water, it causes an enzymatic process that punches up the heat. This also essentially makes a homemade hotdog mustard! COOKING INSTRUCTIONS: In a large skillet over medium heat, add the bacon and onion and stir. into the skillet and add the tomatoes and basil. Cook mixture for 5 more minutes, until bacon is very crisp and vegetables are tender. 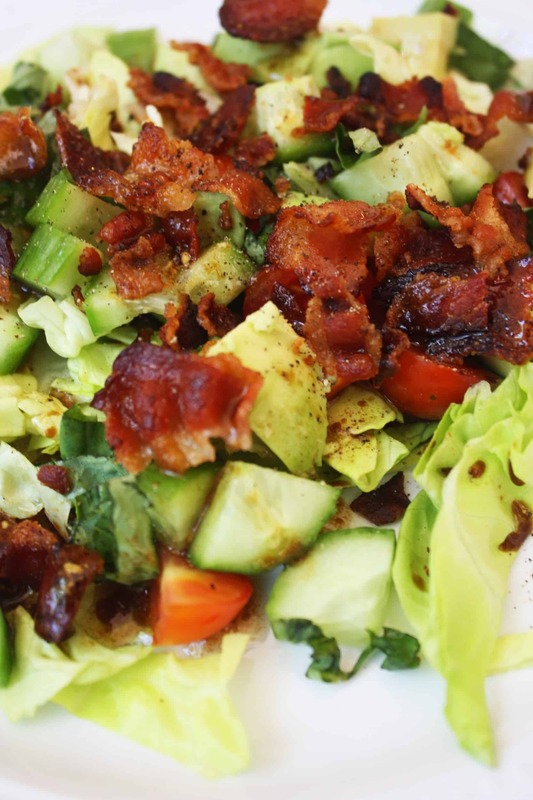 In a large bowl, add the avocado, lettuce and cucumbers. Spoon the bacon mixture over the top. To a small bowl, add next 4 ingredients (olive oil through lemon juice). Season with sea salt and freshly ground black pepper to taste. Whisk together dressing. Spoon the dressing over the bacon mixture and gently toss. Serve warm. If you want more tasty recipes to help you stay on track, join me on our new 21 Day Knock Out only through Take Back Your Body! Good oil/bad oil. Now you’ll know the difference. There is a good deal of confusion around which oils are good for cooking and which are not. Fat is essential for human health. We need fat in our diets for hormone health, cell building, energy, and even for keeping our skin in good shape. There are certain vitamins (A, D, E and K) that require fat to help us absorb them as well. Unfortunately, however, the average American’s diet today is high in poor quality fats, specifically, vegetable oils. Vegetable oils are relatively new to the human diet (within the past hundred years or so), and they are actually doing more harm than good in the human body. Especially when they are used in cooking. Canola oil, corn oil and margarine are all examples of vegetable oils that increase inflammation and free radical damage in the body. The majority of your fat intake should be coming from healthy oils like coconut and olive oil (the main two oils I personally use), and whole foods like avocados, salmon, grass fed animals, nuts and seeds. With all the oils that look up at you from store shelves, which one should you use for what so that you get the most that you can out of those good fats? You want to cook with stable cooking oils like avocado oil and coconut oil. 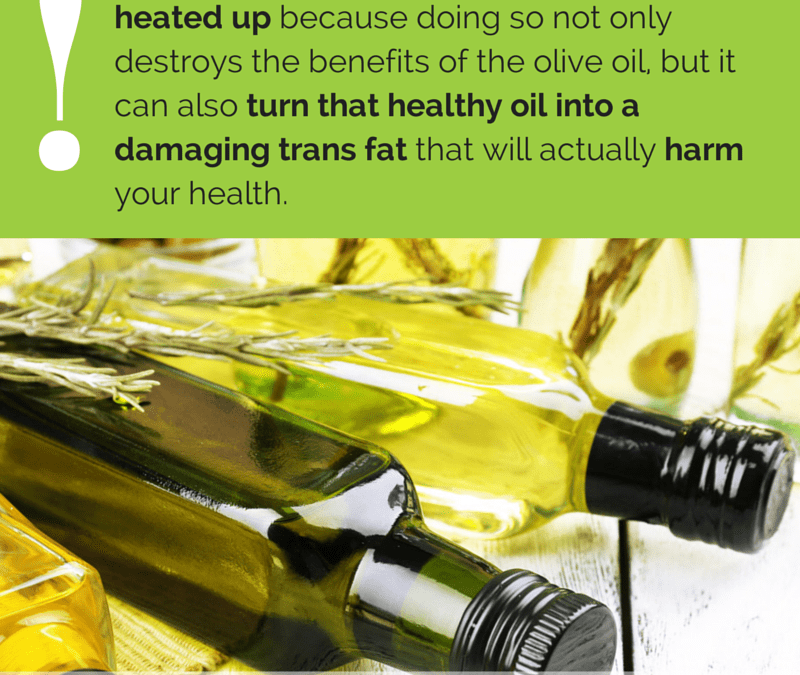 EVOO (extra virgin olive oil) should never be heated up because doing so not only destroys the benefits of the olive oil, but it can also turn that healthy oil into a damaging trans fat that will actually harm your health. 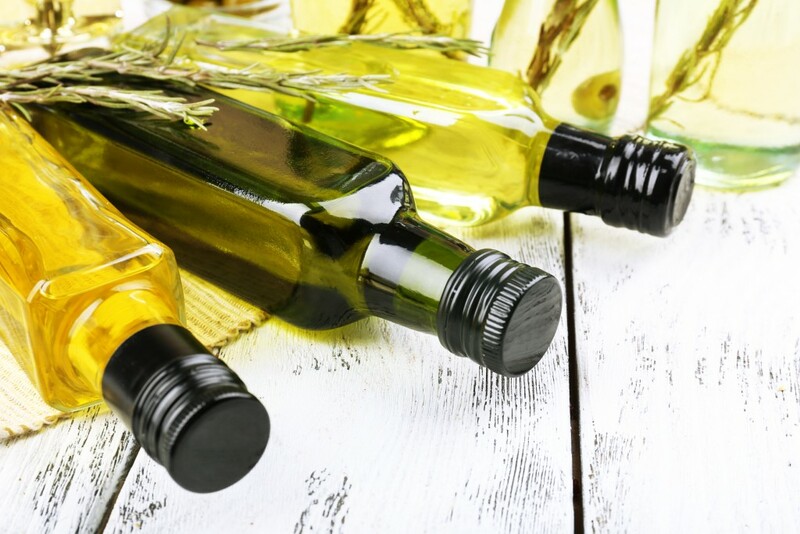 This may be the first time you’ve heard of there being a significant difference between olive oil and extra virgin olive oil. EVOO is what you get after the first press of the olive. The result is a rich, pungent oil, best for drizzling over salads or breads. When the oil is pressed multiple times, you have a lighter oil that is best for cooking. The more the olives are pressed, the lighter the oil. I wouldn’t recommend cooking with nut oils, they’re so expensive they aren’t really a reasonable option anyway. Flax is excellent for you, but I don’t recommend buying it in a liquid oil form because of how unstable it is. It goes rancid very quickly. At the end of the day, you need to know that vegetable oil is to be avoided at all costs (margarine, canola oil, corn oil). Save those fancy nut and seed oils for salad dressings and use coconut oil, avocado oil, ghee for cooking. Did you know you are allowed good fats on our NEW 21 Day Knockout? Check it out here!